Established in the year 2005, we at Sanjivani Phytopharma is moving with a rapid pace in terms of development and recognition. Since the very inception, we have successfully earned the reliance of our clients by manufacturing Sparkler Filter, Liquid Filling & Packing Machine, Industrial Filtration Equipment, Centrifuge Filters, Nutsche & Agitated Nutsche Filter, Semi Automatic Bottle Filling Machine, Fully Automatic Bottle Filling, Capping & Sealing Machine, Steam Jacketed Agitator Vessel, Process Reactor & Extractors and Tray & Vacuum Tray Dryer to name a few. We also offer state of art standard models which includes G.M.P. models with the options for Fully Automatic PLC Controls for various Process Equipments, designed to suit a specific end process as required by the client's product. We also offer pure and natural herbal extracts. Having sound infrastructural facilities and investing regularly in research and development of new and innovative techniques, we have been able to offer quality process equipment, filling & packing machine, reactors, mixers&dryers for our clients spread nationwide. Further, owing to the sharp business acumen and extensive product knowledge of our mentor Dr. Sadanand V. Dixit, we have been able to carve a niche in the market. Owing to his extensive industry experience and foresightedness, Dr. Dixit is a source of inspiration for everyone in the team. Quality is the hallmark of Sanjivani Phytopharma. Being a quality conscious company, we work towards the attainment of offering quality and functional range of process equipment, filling & packing machine, reactors, mixers & dryers. At our quality department, we have all the requisite tools, equipment and technologies to help us ascertain the quality of our existing product range. 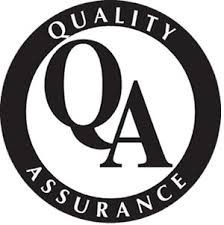 Our quality auditors keep a strict vigil on the production procedure in order to ascertain that our range of process equipment, filling & packing machine, reactors, mixers&dryers stands high on the parameters of quality. We are engaged in manufacturing and supplying of a wide range of process equipment, filling & packing machine, reactors, mixers& dryers for our clients spread worldwide.These are designed in our hi-tech manufacturing unit and are quality tested on well defined parameters before they are delivered to our clients. 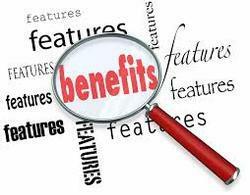 We also meet customized requirement for our clients benefit and offer our range at industry leading prices. Apart from manufacturing and supplying a wide range of process equipment, filling & packing machine, reactors, mixers & dryers, we are instrumental in undertaking turnkey projects which include onsite installation services and technology transfer & consultancy services for our clients based across the globe. Our team is the backbone of our organization, as our existence owes to their painstaking efforts. We are assisted by experienced professionalized team members who work in coordination with each other to manufacture a quality range of process equipment, filling & packing machine, reactors, mixers& dryers. They work with a clear objective of taking our company to new heights of success. Mr. Shrihari Nadgauda (Chemical Engineer), for plant & machinery designing. Mr. Ashok Purohit & Mr. Vishnu Nagan as Cultivation expert for Herbal plantation. Mr. M. K. Sharma, (Ex-Managing Director of North East Financial Development Corporation, Guwahati) as Finance Consultant for new project development. Mr. Prasanna Kuvalekar, Marketing & Export Consultant. Five Project Engineers for commissioning & fabrication supervision. Our professionals are guided under the able guidance of ours, Dr. Sadanand Dixit. He has sound experience in process designing and technical know-how for professional manufacturing & marketing if herbal products. Dr. Sadanand Dixit is a consultant to many Herbal Industries located in India & abroad engaged in manufacturing of Standardized Herbal Extracts, Essential oils, Nutraceuticals (nutritional foods), Herbal Cosmetics & Aloe Vera Products. We are further assisted by Mr. Sandeep Dixit who is in charge of Machinery design & fabrication, Project management & manufacturing of Phytochemicals.